Emergency Managers may contact their ARES Coordinator for technical assistance. The Emergency Managers Weather Information Network (EMWIN) is an affordable system that provides a variety of methods for accessing and delivering weather products (warnings, watches, advisories, forecasts, graphical images, etc.) and other critical emergency information. The central system is supported by NOAA's National Weather Service and was developed in partnership with the Federal Emergency Management Agency (FEMA) and other public and private organizations. EMWIN can be tailored to the needs of local emergency managers including multi-agency interoperable communications. The goal of the EMWIN-Denver project to optimize these capabilities. 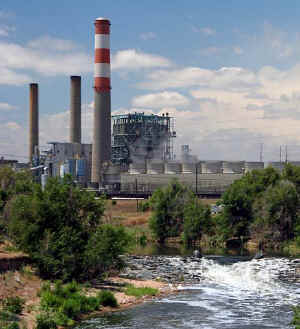 EMWIN-Denver is a cooperative venture between Colorado North Central Region local emergency managers, the Urban Drainage and Flood Control District (UDFCD), and the National Weather Service. UDFCD, Xcel Energy and the Denver Public Works Department-Wastewater Management Division provided initial local funding for this project. Department of Homeland Security (DHS) grant funds were used to acquire software licenses and radio receiver equipment for 31 sites. The satellite downlink, Internet gateway and radio relay equipment are located at the Adams County Sheriff's Office with facility oversight provided by the Adams County Office of Emergency Management. The rebroadcast station in Commerce City is provided as a public service of Xcel Energy. Technical support is provided by volunteer Ham radio operators who participate in RACES--the Radio Amateur Civil Emergency Service. To utilize this signal, you need an IBM-compatible computer running Windows 98 or higher, a VHF radio or scanner capable of receiving the FM data transmission on 163.325 MHz, a 9600 baud EMWIN demodulator, and software. There are no recurring costs. Depending on your distance from the rebroadcast transmitter, a vertically polarized outside antenna (scanner or 2-meter amateur radio type) may be required. Generally, the signal is useful within a 35 to 40 mile radius of downtown Denver. An Internet connection will also be provided to authorized users as a backup or primary connection to the EMWIN-Denver datastream. A public website will also be maintained. Interagency messages between local emergency managers will not be available to the public. Special software from commercial sources is required. Weather Message, RealEMWIN and InterWARN are the most common software applications. Earlier software versions may be obtained at no cost, but they lack many useful features. Receiving equipment is also available from commercial sources. A typical EMWIN receiver station will probably cost $1500-$2000. With some ingenuity the cost may be less. The total cost is in the equipment. 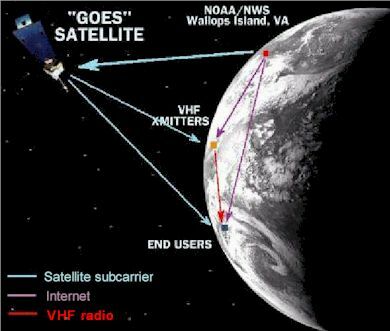 Receiving the signal is free, both from the satellite and the rebroadcast. Once the station is on the air, all a listener will need to receive weather information is a scanner and a soundcard-equipped computer. Of course, an external demodulator and digital-ready scanner (i.e., one with a discriminator tap) will provide the best results. Ray Bartik2,3,4 Skywarn Systems, Inc.